he famous Greek Athletic Club, PANATHINAIKOS A.O. has formerly announced the fact that the “Athletic Group” has added a “Baseball Division” to its group of sports. 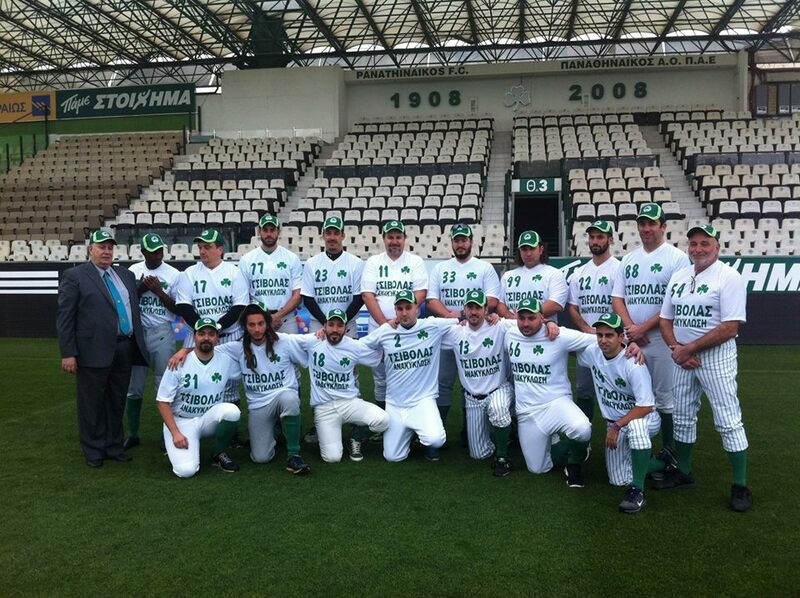 It has joined the Hellenic Amateur Baseball Federation and has registered its first baseball team that will participate in the 2014 Greek Baseball Cup and the 2014 Greek Baseball League Championship. Former Spartakos Glyfadas team Manager Tom Mazarakis has been assigned the position of the new team’s Manager and he has assembled a roster of transferred players from several existing teams with the addition of several new players. PANATHINAIKOS A.O. was founded in Athens in 1908 as a soccer team, but over the years it has added a wide variety of 20 different sports including basketball, volleyball, swimming, cycling, track & field, weight lifting, wrestling, boxing, water polo, marksmanship, ping pong, rugby, and now baseball. 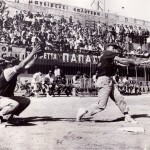 The famous Panathinaikos Stadium on Leoforos Alexandras in Athens is the site where the first ever organized baseball game was played in Greece on April 11, 1946. On that date an exhibition game was organized and played between American crew members of the USS Missouri and the USS Providence. The next time an organized baseball game was played was on 3 June 1955. Again, the place it took place was the Panathinaikos Stadium. 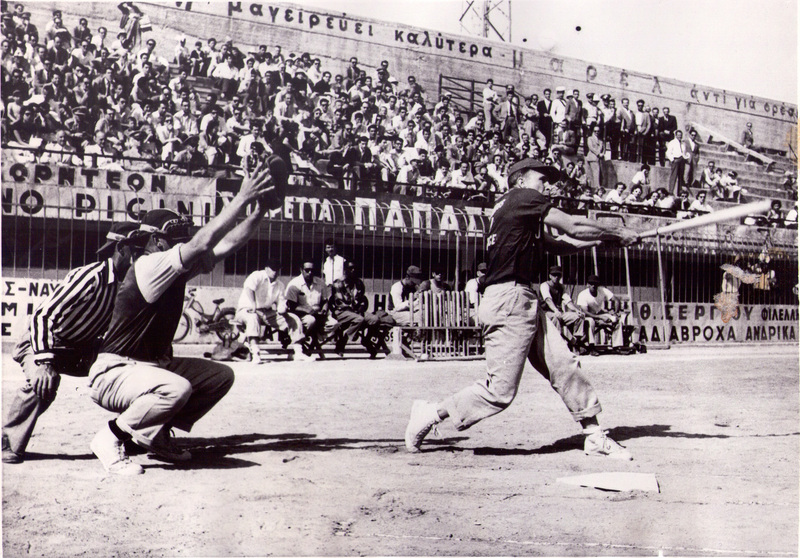 One of the two teams was comprised of American soldiers who were stationed in Greece and the other team was comprised of Greeks and Greek-Americans (see attached photo). The name “Panathinaikos” is very well known in Europe as one of the leading Greek soccer teams and the club also features one of the best Greek basketball teams with 6 European Championships under its belt. 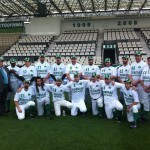 The addition of the Panathinaikos Baseball team to the Greek league is expected to attract greater interest in the sport from among Greek sports fans. Hopefully, this development will also attract interest from other large Greek sports clubs such as Olympiakos, PAOK, AEK, and others to assemble baseball teams.